As I entered the Commons, I came across a gentleman that was dressed in a camouflaged uniform, sitting behind a desk with numerous information brochures, ready to answer any and all questions about what the military has to offer. That gentleman was the United States Air Force Technical Sergeant (TSgt) Jonathan St. Sauver who is a Special Operations Recruiter with the 330th Recruiting Squadron. Since most SNU students are striving for a degree in various fields of study, it also works well with the requirements of becoming an Air Force Officer, which requires a bachelor’s degree to enter the military as an Officer. TSgt St. Sauver stated, “The Air Force Special Operations career field has multiple Officer positions in Combat Rescue, Special Tactics and Air Liaison fields.” The various careers offered through the Air Force Special Operations are Pararescue (PJ), Combat Controller (CCT), Tactical Air Control Party (TACP), Special Operation Weather Team (SOWT), Explosives Ordnance Disposal (EOD) and Survival Evasion Resist Escape (SERE). If you are interested in any of these amazing opportunities or others that the Air Force has to offer, you can get further details and descriptions by visiting www.airforce.com. There are many perks to joining the military. Some of the multitudes of benefits include 30 days of vacation a year; free medical, dental and vision coverage for you and your family; opportunities to travel and extra money. This extra money comes in addition to your normal paycheck in the form of a bonus. 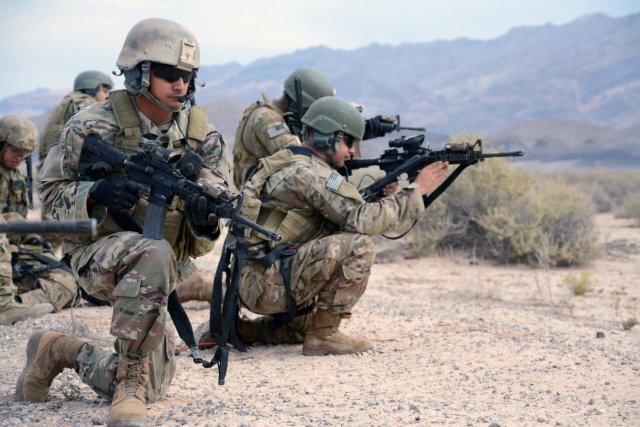 The Air Force Special Operations careers offer sign-on bonuses of up to $15,000. What other job offers you an upfront bonus before you even start? If you’re curious and feel a calling to something higher than your normal 9 to 5 job after graduation, take the opportunity to speak with TSgt St. Sauver or any other military recruiter. Next PostHow Can Nature Naturally Solve Your Problems?